The same weekend ISIL began approaching Baghdad, and Eric Cantor had just lost his primary for, among other reasons, being too cozy with big donors, McConnell took time to schmooze the Kochs and their network of funders and organizers. He wasn’t the only Senate candidate there: the next day, GOP Senate nominees Joni Ernst of Iowa, Tom Cotton of Arkansas and Cory Gardner of Colorado joined the retreat, the Nation’s Lauren Windsor has reported, and all pledged allegiance to the Kochs. “The exposure to this group and to this network, and the opportunity to meet so many of you, really started my trajectory,” kvelled Ernst, who attended the summit last year. (You can hear audio of her remarks at the Huffington Post). But only McConnell was devoted enough to spend Father’s Day addressing the Kochs – and only McConnell said anything substantive enough to ensure him home-state trouble. 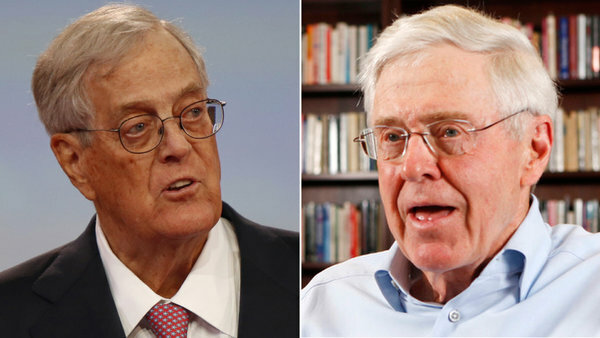 Kentuckians may find themselves chagrined to learn that McConnell promised the Kochs and their friends that he would intensify gridlock if Republicans win control of the Senate. While legislation requires 60 votes, he noted, budget bills only require a simple majority, and he promised to attach “riders” defunding Obamacare, financial regulation laws and the entire Environmental Protection Agency to any spending bill — riders that President Obama would likely veto, which could trigger another government shutdown. He also attacked Democrats for wasting time on their “gosh darn proposals” – like raising the minimum wage, which Kentuckians support by almost 2-1, and extending unemployment insurance, likewise backed by his state’s voters. Here’s what McConnell said on those points, verbatim. We can pass the spending bill, and I assure you that in the spending bill, we will be pushing back against this bureaucracy by doing what’s called placing riders in the bill: No money can be spent to do this or to do that. We’re going to go after them on healthcare, on financial services, on the Environmental Protection Agency, across the board. And we’re not going to be debating all these gosh darn proposals. That’s all we do in the Senate is vote on things like raising the minimum wage — cost the country 500,000 new jobs; extending unemployment — that’s a great message for retirees; the student loan package the other day; that’s going to make things worse. These people believe in all the wrong things. Kentuckians can decide who believes in all the wrong things come November. If dollars themselves could vote in Kentucky politics, McConnell would defeat Grimes in a landslide. 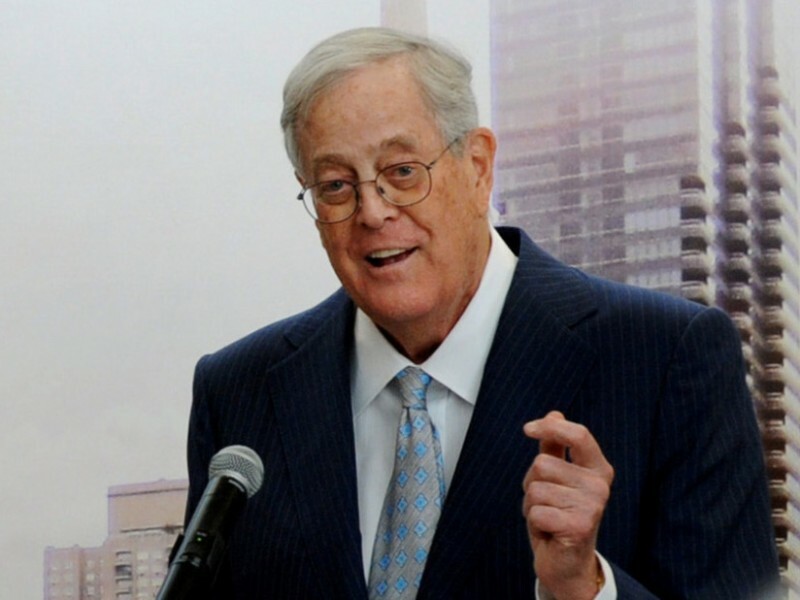 At the Koch retreat, the Senate veteran depicted himself as a tireless soldier for the freedom of money in politics. He described the right to make unlimited political contributions as “the one freedom, that without which we can’t do anything.” His fealty to the cause of money in politics got embarrassing at times. According to the Nation, McConnell talked about his many filibusters of campaign finance reform the way other men his age describe war battles. “The worst day of my political life was when President George W. Bush signed McCain-Feingold into law,” McConnell told the Kochs and their friends. Others might say 9/11, or the day President Reagan was shot (or further back, the assassinations of President Kennedy, Bobby Kennedy or Martin Luther King Jr.) But not Mitch. The best Supreme Court in anybody’s memory on the issue of First Amendment political speech…[Now] you can give to the candidate of your choice, You can give to Americans for Prosperity, or something else, a variety of different ways to push back against the party of government…I’m really proud of this Supreme Court…It’s only five to four, and I pray for the health of the five. But not the other four, obviously. Tough luck, RBG. 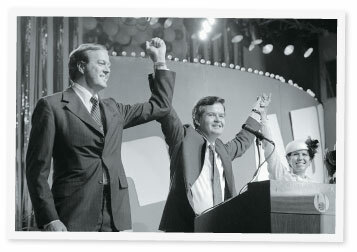 When David Koch himself, during the question and answer session, complained about a New York Times editorial lamenting the influence of big Koch money, and asked about Democrats’ attempts to start the process of amending the Constitution to state that Congress may in fact regulate campaign contributions, McConnell was at his feistiest. Tom Cotton likewise thanked the group for its role in his success. “[The Koch-funded] Americans for Prosperity in Arkansas has played a critical role in turning our state from a one-party Democratic state … building the kind of constant engagement to get people in the state invested in their communities,” Cotton explained. 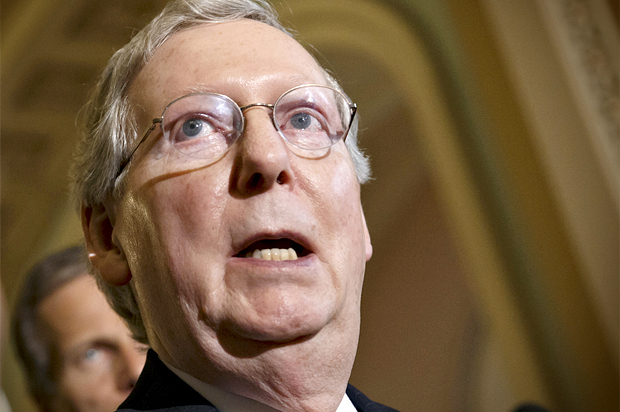 It would be ironic if the Koch brothers won their GOP Senate majority, but McConnell wasn’t around to lead it.